History and Significance of Diwali - Why We Do Celebrated Diwali? Below we give the seven different histories for Diwali, as per Indian mythology. Click on the different links below to unravel a history of Diwali. Click here to send this page to your friends. Almost all the histories of Diwali point to the triumph of the Good over the evil, and the celebrations aftermath. The celebrations after the taming of the bad, have given rise to the festival of lights, Diwali. 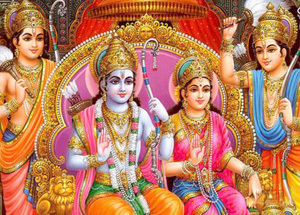 The most popular, and widely believed history is the returning of Lord Rama to Ayodhya, after He defeated the demon king Ravana, and returned home with his wife, Mata Sita. There are a few other beliefs too, regarding the festival's origin, the more popular ones being the defeat of Mahishasure and Naraka. Some histories, however, is of a different view, namely origins from the beloved King Bali, Samudramanthan and Lord Indra's defeat.